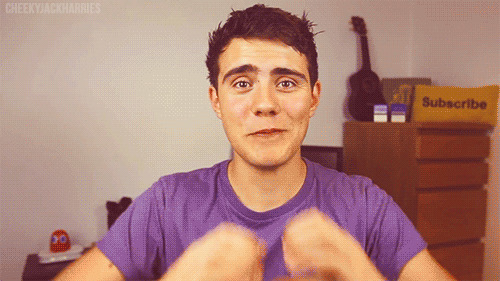 On the day we're writing this, little Alfie Deyes turns the ripe old age of 22. Girlfriend Zoella has whisked him off on a surprise trip and we imagine they're covering themselves in icing sugar and dancing round to Taylor Swift's "22". Alfie has a lot of things we don't have; zillions of fans, a posh house and a pug. But we do have something MAJOR in common with him- we also have a birthday. Yes, you read it right. And the amazing thing is, so do you. What a coincidence! By the magic of PointlessBlog gifs, we've summed up what it's like to go through this mind blowing experience every single year on the exact same date. Crap presents which you can return and swap for something awesome! All the attention on YOU! But then you realise you're basically closer to death. Soz.